We took our grandson Jamie to the zoo. It was sunny but really cold and windy so it was a shorter visit than usual. 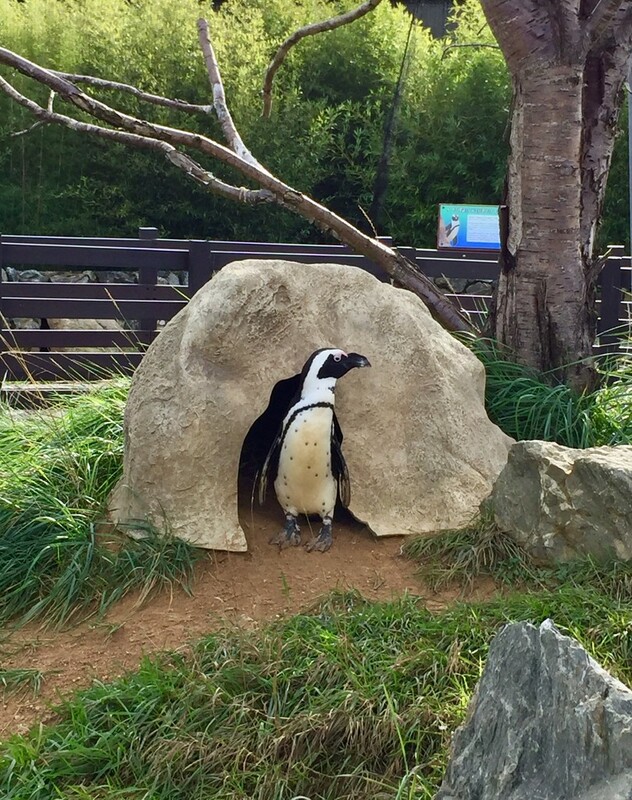 Even the penguins didn’t seem to want to venture outdoors. Lovely picture. This one looks like it is sheltering from the cold wind.